It's just a few days before Sony launches their next-gen console. 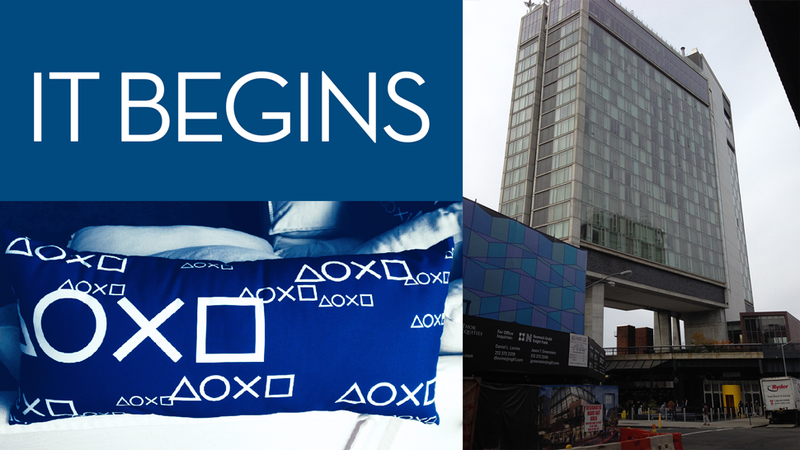 So they've rented out a few floors of New York City's The Standard hotel to showcase some of the PS4's upcoming games. Three of us from Kotaku are currently wandering the hotel, preparing to play some games and ask some questions. In the meantime, we've brought you a few glimpses of how Sony has set the place up to show off their shiny new hardware. And, hey, if you happen to be in NYC and walking down the High Line, you might even be able to peep through some windows to check out the PS4 for yourself. Just make sure you're not staring into someone's house by accident. Update: Since a few people have asked, we're not basing our review of the console or its games from our experiences at this event. We'll have some private time with them, too. We're mostly attending to get more hands-on time, and some face time with the developers and executives.